Base Bar has established itself to be one of the popular spots on The Parade, where people can enjoy a social gathering or an intimate date for two. 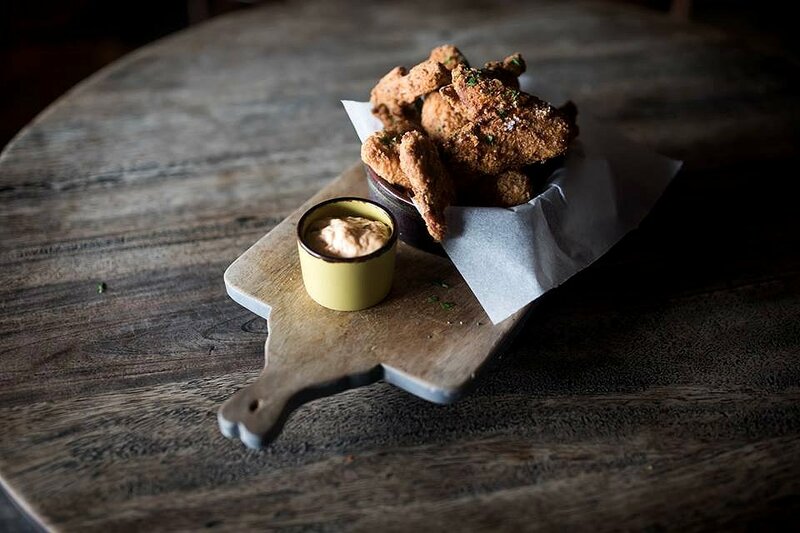 Providing a chilled and relaxed vibe, Base offers its customers with a chance to experience fantastic customer service, freshly cooked bites and tasty concoctions of the alcoholic nature that are bound to please their audience, not only in presentation but also in flavours. We selected three items from the small share plate. First up was the Salami and Parmesan Arancini with salsa verde and garlic aioli ($11). 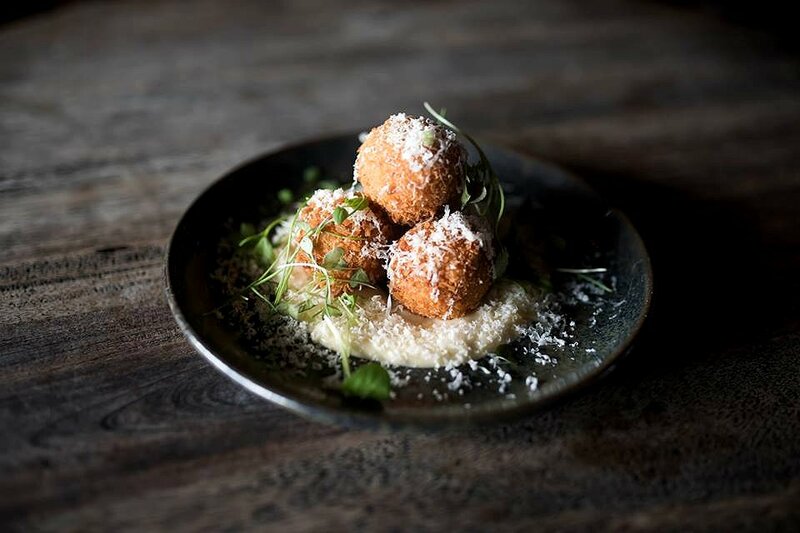 The arancini balls had a great consistency to it, presenting with a cheesy delight on the inside and a crunchy texture on the outside. There was a balance of salty and cheesy and the balls can be enjoyed with or without the mayonnaise, given the cheesy creaminess that was packed in the arancini. Next, we had the Southern Fried Chicken Wings with chipotle mayonnaise ($14). The chicken wings were crispy and salty, but mixed well with the chipotle sauce served on the side. This was good in counter balancing the saltiness from the skin of the wings. We were then served with the Japanese Fried Chicken with kimchi and kewpie mayonnaise ($14). 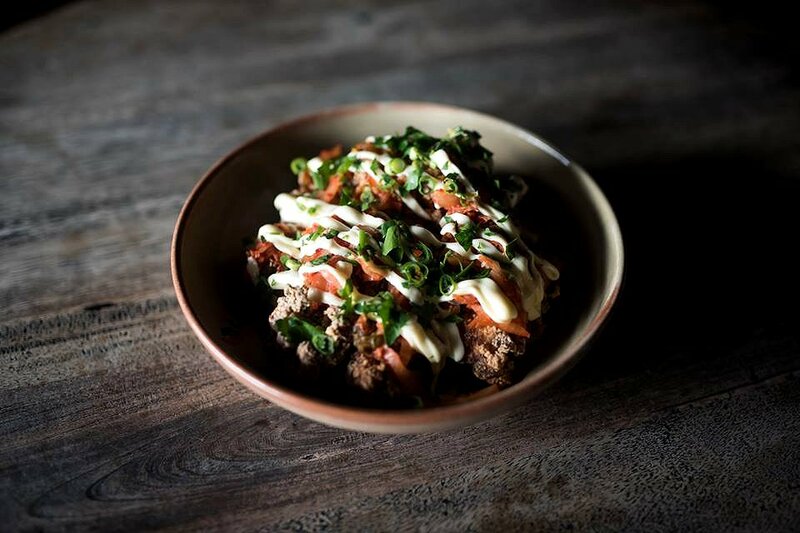 Drizzled with kewpie sauce on top, the fried chicken presented with a tender and juicy taste. This complemented the spiciness from the kimchi, without making it a meal that would make your eyes water (and reach out for a bottle of water). 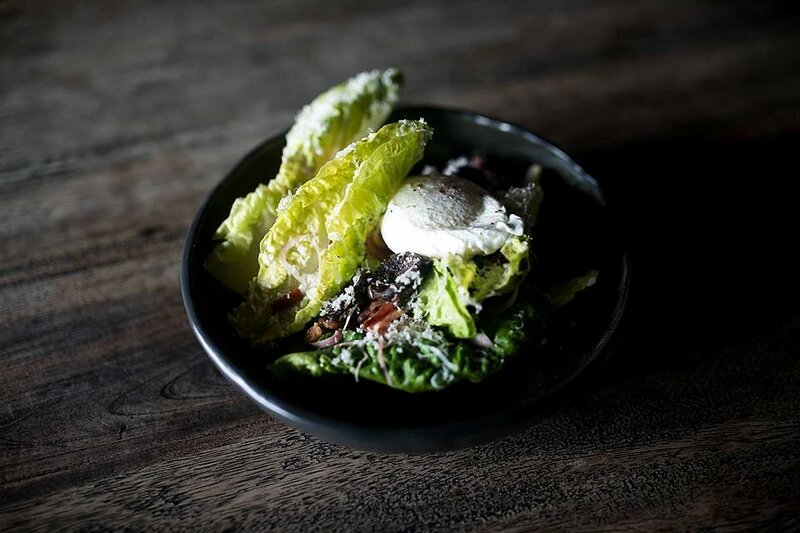 From the salads menu, we ordered the Caesar Salad with Rodriguez Brothers Black sausage, cos lettuce, smokey bacon, parmesan and lyonaise onion ($19). The salad was bursting with sweet and salty flavours, from the Caesar dressing and the smokey bacon respectively. While never having tried black sausage before (pun intended), this was a new addition that certainly challenged my palate. As chef Josh De Haas pointed out, the sausage gets its name from the two butchers (Rodriguez Brothers) in Sydney, who prepare the meat by incorporating pork mince with a variety of herbs and garlic. The sausage meat has a funky yet appealing taste, so you’d really have to try it yourself to understand what I mean. The vegetables were fresh and the Parmesan melted well over the meat, giving it a smokey and cheesy flavour infused throughout the salad through its ingredients. 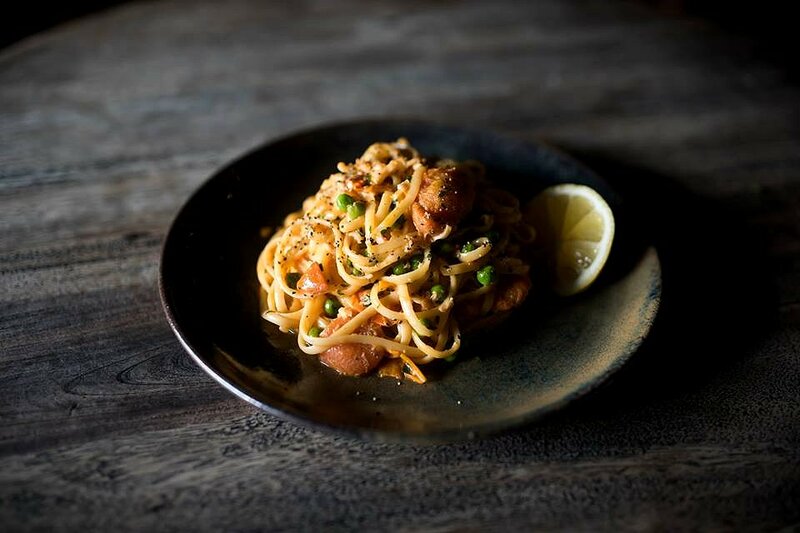 For the mains, we ordered the Blue Swimmer Crab Linguine with confit cherry tomato, chilli puree, Riesling, green peas and herb crumbs ($27). The linguine was al dente and loaded with generous amounts sweet blue swimmer crab meat. The chilli puree added subtle heat while the herb crumbs provided a contrast in texture. A very light and refreshing pasta dish. 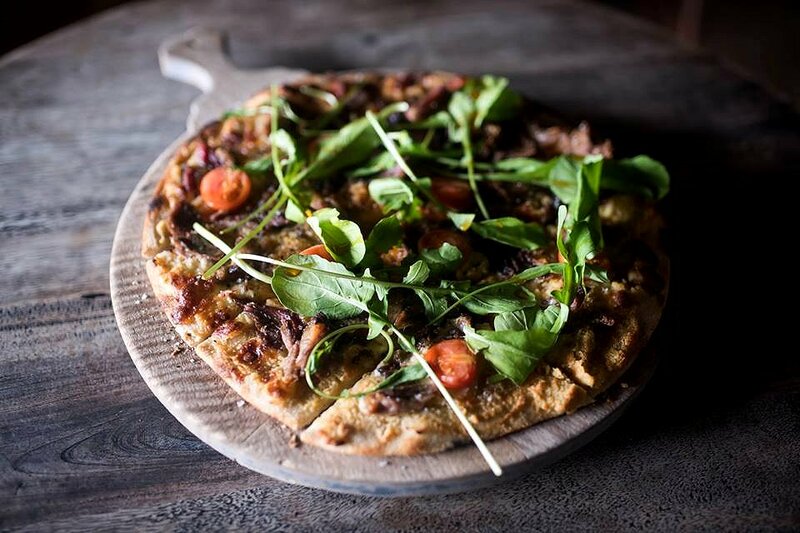 From the wood fired pizzas, we had the Smoked Lamb Pizza with hummus, cheese, cherry tomato, rocket, and balsamic reduction ($24). This was an interesting pizza with no melted cheese used as the base, but the hummus was used in its place. The meat was delicious and had a soft crunchiness to it. The vegetables were refreshing and added to the lightness of this pizza. The balsamic reduction balanced the savoury flavour with its sweetness. 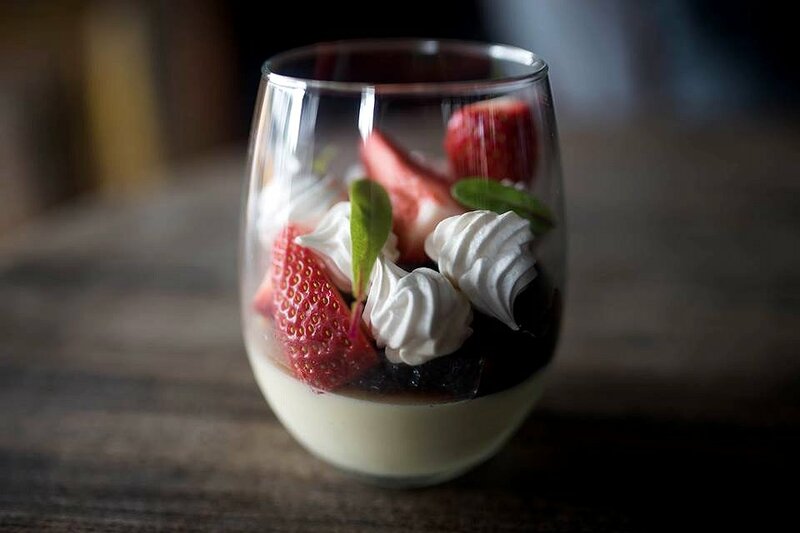 When it comes to food lovers like us, it is a known fact that no meal is complete without desserts. What’s better is when you order two desserts – one of which comes caked in coffee syrup as well as a shot of Frangelico. 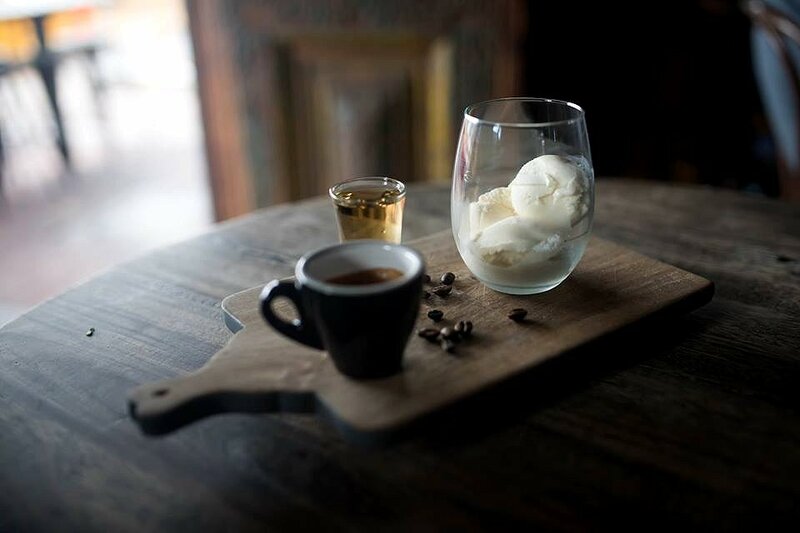 The Affogato with vanilla ice cream and shot of espresso coffee (GF), ($14) presented with a strong and sweet kick – ideal for those with a sweet tooth and who crave a caffeine kick. As much fun as it is to pour the shots of espresso and Frangelico, it is so much more fun to consume the ice cream that is soft and tempting to anyone who loves all things cold, sweet and strong. We were also pleased (and excited) to try the Panna Cotta with vanilla, balsamic strawberry, strawberry sorbet, crispy meringue ($10). The Panna Cotta was sweet, creamy and presented with a thick consistency. The strawberries were fresh and mixed well with the ice cream and the sorbet. The meringue was perfectly made to balance out the softness from the panna cotta. Overall, it was a beautiful looking dessert that pleased in taste as well. There’s no better way to get into the Friyay spirit than have a nice, chilled Martini glass of Espresso Martini ($16) with vanilla vodka, Kahlua, Frangelico, shaken over ice with sugar syrup and shot of espresso coffee. 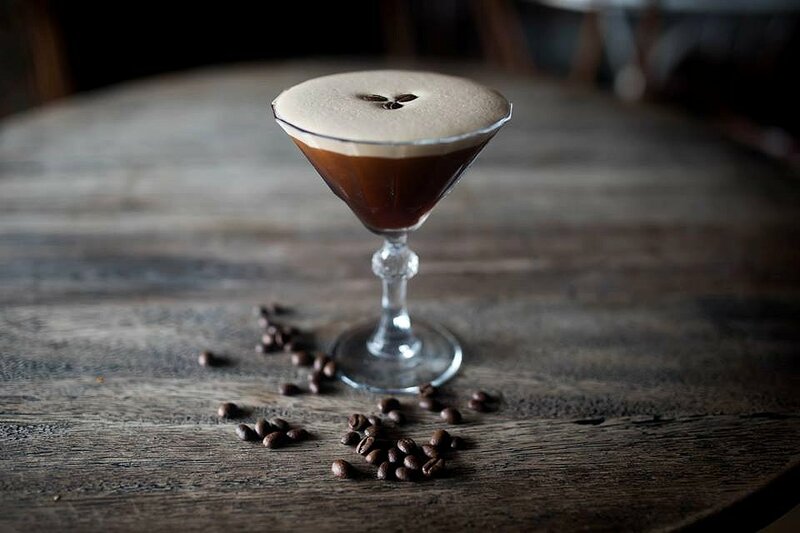 Being fellow lovers of all things coffee and alcoholic (better in a combination), the Espresso Martini at Base is what we all need to get things moving in gear. The drink has a beautiful, creamy texture and has a subtle taste of intoxication that is bound to provide you with the caffeine high you crave, whilst simultaneously giving you a mellow high. Conveniently located towards the edge of the Parade, Base Bar offers its customers with mouth-watering options of food, enjoyable choices of drink, and a relaxed atmosphere with its modern interior style. It’s a great place to hang out, so head on down and check out the new additions to their menu while you’re at it.